We guarantee that you will consider our range superior to anything you have tried before! 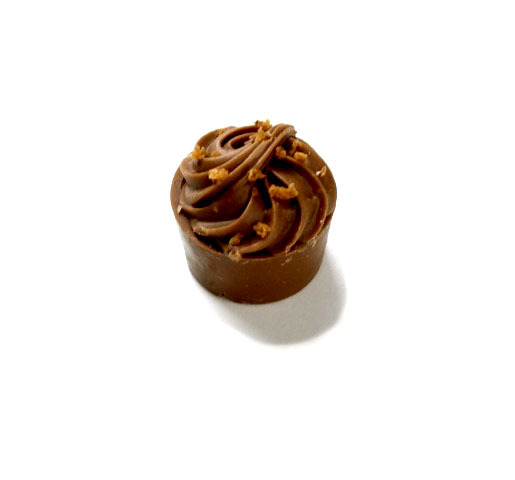 Whatever you have tried before, even if it is Belgian chocolate, we bet that it is not up to the standard of our Dumon range which we import direct from the Chocolatier's own kitchen. This range of very superior hand made, fresh, white, milk and dark chocolates are produced in limited quantities to supply the needs of a handful of shops in the Brugge area AND this website! The ingredients are the best available, there is no compromise in the quality of the confection and the range of fillings, flavours and shapes is vast. The (almost) full range can be viewed here (why almost full range? Because Stefan is always adding to the range with new ideas and we can't keep up). Mrs. C. Bong's assortment: a selection of individual chocolates from the Dumon range. The larger boxes will have a greater selection, but you are assured to never be bored. With a range of more than 60 different chocolates, even the 1Kg boxes rarely have more than two of any chocolate and usually you will find only one! 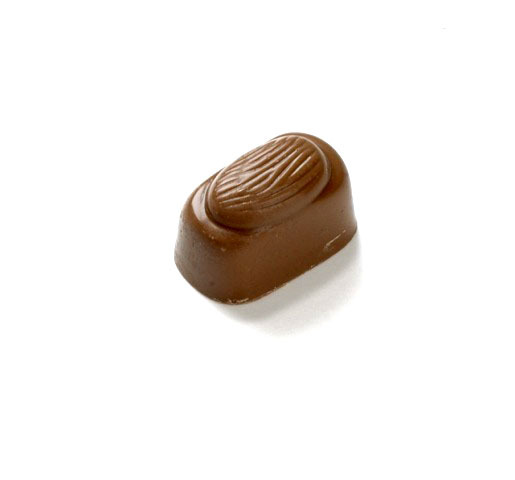 Dark Assortment - for those who prefer the richer, slightly bitter taste of dark chocolate, we will prepare an assortment that allows you to enjoy the full range of Dumon's skill with the Dark Side! Milk Assortment - for those who prefer the creamier, smoother taste of fine milk chocolate. Your box will contain only milk and white chocolates selected from the full Dumon range. 80% Dark Assortment - last year, our 80% dark assortment was very popular, as it allowed those who prefer dark chocolates to still be sociable and share with those who prefer milk chocolate. Of course, there are more dark chocolates, so the sharing is not quite equal, but then, is life generally? 80% Milk Assortment - now it is time for milk chocolate fanatics to fight back. 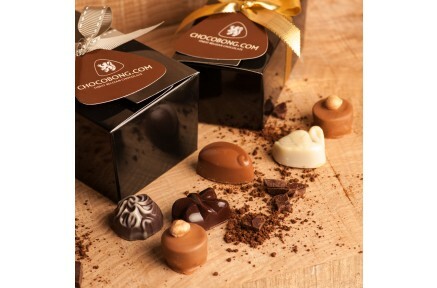 Chocobong.com can offer you a box of 80% milk assortment with just a few dark chocolates to share with those who do not see eye-to-eye with you on this important subject. 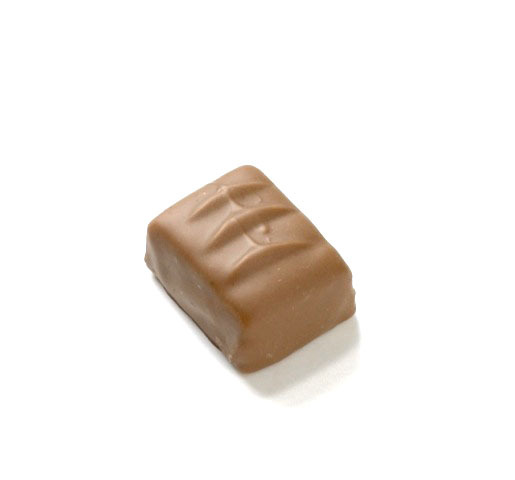 There are, of course, also a selection of the white chocolate range included to jazz up your selection and allow you to indulge in the ultimate creamy bliss. Once you have chosen the assortment that best matches your needs, you then need to select the weight. The pull down menu indicates the extra cost to add on to the cost of the smallest box. As the weight goes up, the value per chocolate just gets better! You can also select whether you would like gift wrapping: this includes high quality wrapping paper and a decorative bow to finish the presentation off. Mr. Bong wanted to add Chocolate Liqueurs to our range. He remembered them from when he was young (a long time ago) but everything he tried was either a bit too sweet or just did not taste of liqueur (although, how he can tell we don't know as he doesn't drink but just lives on chocolate). Eventually, just as he found a range that was just about good enough something strange happened which changed his mind. Whilst on a visit to Brugge to see Dumon, Mr. Bong mentioned that he was trying to find the perfect 'chocolate liqueur' to which Stefan Dumon replied "My cousin makes those". It didn't take long before Mr. Bong was off 'down that road' where he met another Dumon and got to try his Chocolate Liqueurs (which is pretty well all this Dumon makes). At last, Mr. Bong had found what he was after. A chocolate liqueur that was not too sweet and tasted of the liqueur it was meant to. Which meant that the 'Product Accepted' box got ticked and now we have this range of eight flavours for you to enjoy. There are 40 chocolates in two layers in this elegant presentation box which is attractively finished with a large bowed ribbon. We recommend that you order some now before Mr. Bong finishes them off. Approximately twenty four plump and juicy pieces of highest quality Ginger enveloped in finest dark Dumon Chocolate presented in a crisp clear Presentation Box and tied with a luxurious ribbon. A classy act in all respects. Please note that the photograph shows both Dumon Gingers and separately, Dumon Cerisettes. 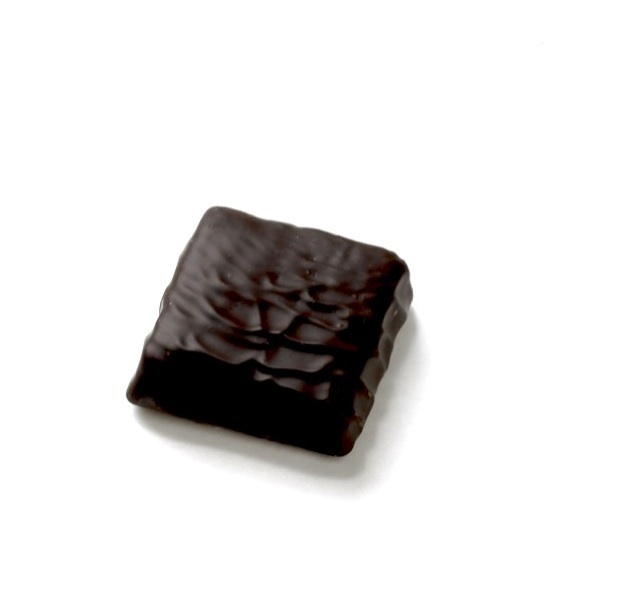 Dumon Cerisettes in Dark Chocolate are a wonderful treat. The cherries are infused with Kirsch - the sweetness of fruit and liqueur offset perfectly by Dumon's finest rich dark chocolate. Approximately 20 of these incomparable delights are nestled into a clear crisp Presentation Box and tied with a luxurious ribbon. Please note: the photograph shows both Dumon Cerisettes and separately, Dumon Gingers. We know, we know. Having to choose between multiple chocolates you like can be painful, almost like having to make a choice between your own children. However, no longer! 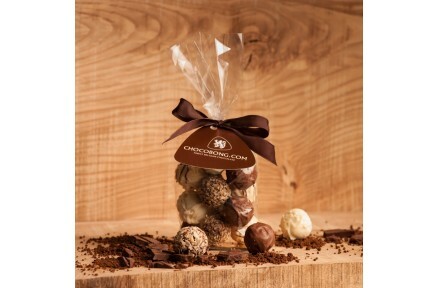 With this Assorted Truffle Bag you don't have to choose, in fact, you'll be spoiled for choice, as we include every one of your favourite truffles (except Dark Cocoa) all in one glistening package, ready for your consumption. Whoever said that you can't have it all? Advocaat, Amaretto, Baileys,Champagne, Cognac, Cointreau, Rum and Whisky. 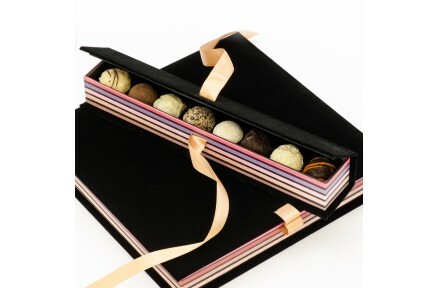 A luxurious truffle box infused with deliciously smooth flavours that will leave all your taste buds beginning for more. This is why we recommend eating them at your own discretion. It must be said that we cannot take any responsibility for any further engagements which may ensue as a result. A unique way of of swooping that special someone off their feet-simply swap one of the delicately tantalising truffles with something even sweeter than one: the perfect engagement ring to be serendipitously discovered in this sophisticated package. Luxurious, soft and rich, if you can't decide between which flavour of truffles, this product is for you. 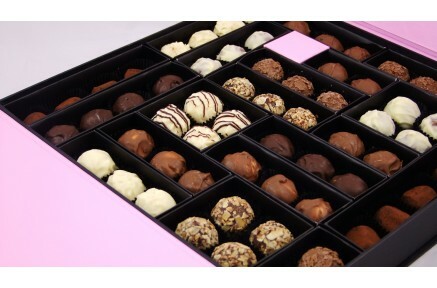 This assortment of truffles beautifully presented in a sleeve box, will leave you spoiled for choice. Box contains 24 truffles and it weighs roughly 400g.